The world premiere of OCCC’s first-ever feature film “Just Crazy Enough” will take place as part of the deadCENTER Film Festival at 4 p.m. Saturday, June 9, at Harkins Bricktown Cinema 16 located at 150 E Reno in downtown Oklahoma City. The family comedy stars actor Chris Kattan (“Saturday Night Live,” “Night at the Roxbury,” “The Middle”) with former Oklahoma City Thunder basketball player Desmond Mason in a supporting role. Portions of the film were shot on the OCCC campus and Pioneer Lab Assistant Shawn Stawicki also acted in the film as Kattan’s double. 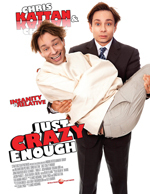 There will be an additional showing of “Just Crazy Enough” at 3:30 p.m. on Sunday, June 10, also at Harkins Bricktown Cinema 16. Tickets are $10 available online at deadCENTER’s website or at the door, said “Just Crazy Enough” producer, screenwriter, and Film and Video Production Equipment Coordinator Sean Lynch. Lynch said tickets will go fast with limited seating of 200 people for both showings. “Once it sells out, it sells out, and we do think it’s going to sell out,” he said. Lynch said OCCC students, faculty and staff should come out to support the film. “We are a film program here and we think we’re putting out excellent students, excellent faculty,” he said. Lynch said with the exception of Kattan, every crew member and actor in the movie is from Oklahoma. Lynch said a fun aspect of “Just Crazy Enough” is the way in which the campus is portrayed in the film. He said people who are familiar with OCCC will recognize the mental asylum in the movie. “It will be fun to see how it plays up like an asylum. Nobody has ever questioned it’s an asylum,” he said jokingly. Lynch said he enjoyed working with Kattan, with whom he shares writing credit. He said Kattan brought a lot of improvisation to the film. While Lynch couldn’t disclose the film’s budget, he said “Just Crazy Enough” looks like a Hollywood film. Executive Producer for “Just Crazy Enough” and OCCC’s Artist in Residence Gray Fredrickson said he is proud of Lynch and his students. “They did a great a job,” Fredrickson said. “It looks like a professional movie, not a student film. It’s a real professional film. 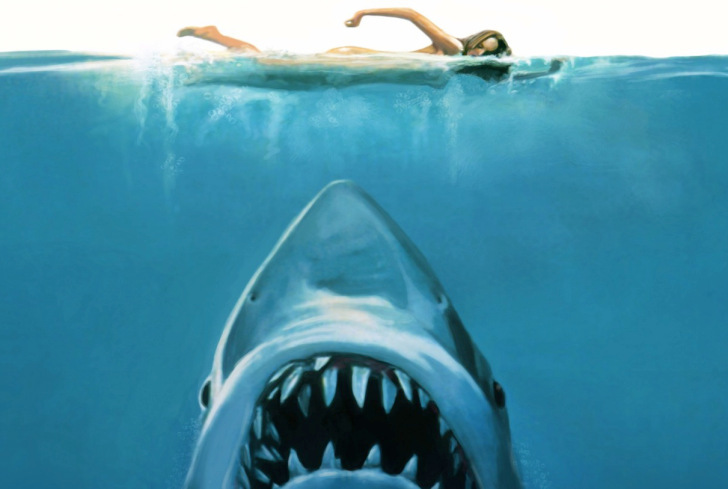 Fredrickson said 90 percent of all feature films never even get picked up by a film distributor. “Just to get up and walk down the floor [at American Film Market] is $850 for the pass walk up and down the halls to sell your movie,” Fredrickson said. “People come from all over the world. Lynch said the film’s production team is getting ready to go to the Cannes Film Market in France. “We’re hoping at that point they’re going to sell it worldwide … so we’ll find out a little bit after Cannes where we are sales wise,” Lynch said. Fredrickson said he views the movie as a tangible asset to be viewed all over the world. Film and Video Production professor Greg Mellott said the “Just Crazy Enough” production team of Lynch, Cinematographer Dave Greene and Director Lance McDaniel helped open doors to students that ordinarily wouldn’t be available to them except at private universities. Mellot said Lynch previously held a similar course at Oklahoma City University but each of the 25 students enrolled paid $4,000 to take the course, then raised $100,000 as a group to cover the budget for that film. “Now, here these students got the same experience taught by many of the same people for less than $300 dollars,” he said. Mellott said students cannot get jobs in the film industry without professional credit and “Just Crazy Enough” provided OCCC with real world experience to help advance their careers. “They get professional IMDb credits, so that helps them get a job — there’s that catch-22,“ Mellott said. “You can’t really work for a professional film unless you have had experience. Mellott said they would love to make another full-length feature film after witnessing the passion displayed by OCCC film students. “The students loved it, loved the experience,” he said. OCCC students agree with Mellott. Dolly Grip Jeff Marks said working on the film was an excellent experience. Kattan’s personal assistant for the film, Cait Brasel, said working on her first feature film was a “really good” experience. Brasel said she cannot wait to see the finished movie on the silver screen. Stawicki said he is excited to see the finished movie as well. “I got to see a lot of it while it being recorded from in front of the camera and behind the camera, and can’t wait to see it on the big screen,” Stawicki said. Mellott said he loved the experience just as much as the students, crew members and actors who worked on the film. For more information on the deadCENTER Film Festival or to purchase tickets for “Just Crazy Enough,” visit www.deadcenterfilm.org.